Traffic Traffic Traffic!! Every blogger dreams of getting more and more traffic to his/her blog. 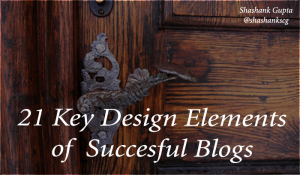 Relevant traffic is the key to a blog’s success. This is perhaps the most important post in the How to Make your own blog series. In previous post we had a look at how to design your mailers, in order to get the best CTR. This post is all about TRAFFIC. How to get more traffic (relevant) to your blog, in order to grow your audience and make some moolah from your blog. So without further ado let's jump into this post. The more people you know the more people you can reach out to. Networking is an important part of blogging. You need to reach out, interact with other bloggers, Ask questions, provide answers, be a useful member of the community. This will get your blog noticed and get you some mention and social signals as well. As a new blogger reach out to other bloggers in your niche. If you are not comfortable reaching out to A listers go for B and C listers. People who are slightly higher than you and do not feel very intimidating. How will you reach out to these bloggers? Write a share-worthy post and quote them/their article. Link out to their blog and then reach out to them via email & social channels to let them know that you have mentioned them on your blog. Politely ask them to share the content with their audience if the find it useful. Refer to other bloggers, and link back to them. Referencing to others will get you some reference to. Generally these people should be able to track their mention themselves, however in case they miss out, you can send a personal mail explaining them about your post, and how you have mentioned them in the post. If they would be kind enough to share the content with their audience. Study the influences in your niche and understand their area of interest. Then write a great content on their area of interest, and reach out to them via social media/email asking them for their comments on the post, and if they like to share with their audience. Invite them to guest post on your blog. Or create a guest post that will fit in their blog and email them the same asking them if they would be interested in featuring your post on their blog. Find top influencers in your niche, comment on their post, retweet and interact with them. Build connections and standing in your community. This is time consuming activity, but relationships built last forever. Forums that are free of spammers and focus on specific niches, are a great place to be on. You can establish yourself as authority and get some traffic to your blog through forum marketing. Video’s are another great way to get some traffic. For plenty of keywords Video’s rank higher than text on Google. Make your own Youtube channel and use it to promote your blog. Email marketing is a sureshot way to get more views for your blog. People who have already subscribed to your blog, are interested in your content. So post to them regularly when you have fresh content live on your website. Forum: Every niche has a few popular forums, where people interested in the niche tend to flock and discuss the related topics. It's important you create a presence on such forums. This helps the interested audience know about you, and discover your blog. By now you will know the popular forums in your niche. Join and be an active member on these forums. Whenever you have a relevant content share it. Make sure you are a regular and active member on the forum and are adding value to it. Do not behave like a spammer, that will get you banned. Video: Video is a good medium to reach out to additional audience. For every piece of epic content you create, make a video teaser, or a video post altogether. This allows you to reach out to more audience through a different medium. Post your video on YouTube & Daily motion at least. If there are any specific video sites in your niche consider posting to them as well. Email Marketing: can bring in massive traffic for your blog, especially if you have targeted email list. In case of a new blogger this is not a feasible option, as you have just began building you email list. However make sure to keep your current subscribers in loop by updating them about every new pieces of content you add to your blog. For the seasoned blogger, make sure you tap into your email subscribers by informing them of your latest post, and inviting them to read over. For new bloggers, you can exploit our personal email contact list, send out mailer to family and friends telling them about your new blog and asking their opinion on it. You are sure to get some traffic and views. Like it or hate it, social media is here to stay. 1.45 billion, that's half of the world’s online population is on Facebook already. Social media offers a great avenue to promote your blog and bring in relevant traffic. When you book your blog domain right then you have had booked your social media profiles as well. If you have not, too bad do it right now. And then get on with updating and managing these social media profiles. Being active, relevant and useful on social media attracts your audience attention and makes for a excellent traffic source for your blog. At Least create social profile on Google+, Facebook, Twitter, Pinterest, YouTube & Instagram. Beyond these sites, if there are any specific social profiles in your niche, create profile on them too. Share content on G+ with relevant groups and circles. Create FaceBook page and post on groups and pages in your niche. Be active on Twitter, and interact with others in your niche on regular basis. Find a popular post similar to the one you have written, in your niche on social channel like Twitter, FaceBook, Google+. Reach out personally to people who have commented/favourited/liked this post. Through Google+ you can reach out via email, through twitter via a @ tweet and so on. Tell these people that you noticed they were interested in the particular post. You too have done a post on same or similar topic, and they might find it interesting to go through. If interesting they can share the post too. Install Onlywire WP Plugin for your blog to automate sharing of your content across different social media platforms. Search Engine Optimization (SEO) is the most popular way to bring in traffic for your blog. Learning basic SEO and implementing the same for your blog, will help you bring in free traffic, visibility and recognition in your niche. So make sure you learn basic SEO skills atleast. 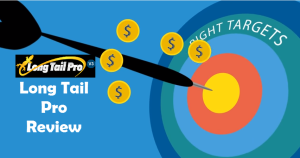 Paid traffic is easiest and quickest to generate, however it incurs cost. 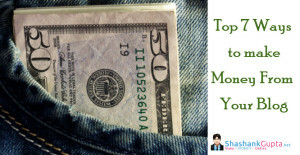 If your budget permits you can look at running ads for your blog. This can help you generate some initial traffic for your blog. If this traffic works well for you, in longer run if you can dedicate a portion of your budget to running ads. You can look at different traffic generation sources, and use the one that fits in best with your niche. Google AdWords ads are one of the most popular option for generating paid traffic. FaceBook adverts are probably the most popular option for generating paid traffic. Reason being Facebook allows you to target ads based on user interest, and demographic parameters. This allows running of more focussed ads which can convert into more relevant traffic. Boosting post on Facebook is another way to gain some paid traction for your blog posts. Twitter also offers advertising options, if your niche has sizeable audience on Twitter, you can explore promoted tweets on twitter. Also you can look for placing banner ads of your blog onto other popular blogs or news sites in your niche. This is fairly basic method of generating traffic for your blog. Content is the king. Create quality content that your audience will feel compelled to share. However spreading the word about your content is equally important. If content is the king, promoting it is the queen. And for a kingdom to thrive it needs both the king & queen to work in tandem. Here's a few ways to spread word about your content. You have a great piece of content, meant for a specific audience. If you post this content in your blog, only your current audience will get to know it. How can you maximize the exposure for this content? Take it and head over to a content syndication site. These sites work by promoting your content to readers who are reading similar content. Ever noticed the ‘related post/ similar post’ section under an article on Forbes/CNN etc. That’s content syndication in action. The content syndication network, take your awesome piece of content and displays it alongside similar content on popular sites. Let’s say you have written an article about ‘how to buy best car seat’, and you send this over to a content syndication site. This site will then display your content URL/headline with or without image on other popular sites wherever there is an article about car or car seat. This way when a reader is on Forbes site reading about car seats, he/she can also discover your content about buying best car seat. This reader is relevant audience for your blog, and content syndication sites connect you to this and such other relevant readers. Such related posts/similar post are displayed by Content syndication networks, and they charge you some fee for using their services. Hence this requires dipping into your marketing budget. However these networks are not the only option, there’s a way to do content syndication for free as well. In most niches there are industry sites and blogs which are always looking for good content and they tend to not want to pay for it. You can syndicate your content to such sources as well. So long as the place you are syndicating to has more viewers than your own blog, you are good on the syndication. Find out what sites have an audience in your industry and ask them if they are interested in getting an RSS feed of original content. Blog search engines are like Google for blogs, you can submit your blog to them, and once indexed your blog is added to their database. This makes your blog easy to find for other bloggers and audience which uses these search engines. Also some search engines work by showing related blogs to users, this will help your blog to get discovered by like-minded audience. In most of the niches, there are active blogger community. These communities in many cases come together to create their own dedicated website. These are known as blogger community sites. Find such sites in your blogging niche, join them and be active on them. It's a great place to meet like minded bloggers, cross promote content and reach out to relevant audience. Slashdot.com – Community that shares content. Submit your blog post here. Make sure it fits the community guidelines. Newsvine.com – Create account, add your content to your personal column. Work on building community connection this will help your content to get shared by other users. Diigo.com – Community where bloggers come together to research and create great content. You can submit your post explaining how it might be useful/relevant to other bloggers when working on particular topic. Be active, and focus on building connections. Blog Carniva.com/bc – This site features list of bloggers looking to curate content topic-wise. Submit your blog to relevant carnival. If accepted, your blog will get exposure to larger audience. There are numerous content aggregation sites in different niches. These site accept your blog’s RSS feed and use it to display your content. In most cases the sites display URL of your blog post. when a viewer clicks on this he/she is redirected to your blog to read the article. This provides additional exposure to your blog, and help its get discovered more easily. Also quite often, bloggers who do content aggregation, pick up post from these sites. If your post gets picked up in this manner, it will get even more exposure and traffic to your blog. Alltop.com – Submit blog feed to Alltop. Once accepted your content will be accessible to tons of users. Immense exposure in right niche. Technorati – Most extensive blog directory on net. Submit your blog with relevant tag. Get listed. As your blog traffic grows your ranking on Technorati will improve. Digg.com – Submit & wait for traffic to come. Content Curation is where the curator scans the Internet for valuable content which he/she is looking to share with his/her social community. This helps the curator discover new content without having to write new content all the time, and also provide valuable information to his/her audience. When you are looking to promote your blog, your aim is to get on list of these curators. So that they share your content with their audience. Content curation is a great way to add value to your blog, and get your blog showcased to larger audience. In most popular niches there are a few content curation sites, where you can submit your blog, and if it meets their quality guidelines then your blog will be accepted. Once accepted your post are displayed on the site and get additional exposure to your blog. Apart from these sites, you can approach the content curators in you niche personally as well, explaining how your article is curation worthy. Regator.com – Curate best blog and post from around the webs. Once your blog is few months old, submit it to this site. They manually check every submission for quality of content before inclusion, so be patient. Once accepted, your latest post will be featured on site. Use scoop.it. Curate content on popular topic in you niche and share it via scoop.it . Give shout out to bloggers whose post/content you have included in your list. This will get your blog noticed by other curators. Reddit, join create profile, comment on niche relevant topics, share content that audience will like, once you have established credence next up is sharing your own content. Flipboard.com – A smart platform that converts your content into digital magazine style. This makes your content easy to surf on Mobile. Flipboard is a popular mobile app so if your audience in on mobile then you got to use this one. Make Videos to get exposure to YouTube audience. Almost all leading bloggers have their own Youtube Channel. Your channel can include post teasers, interviews, tutorial, checklist and much more. Make the video's interesting and useful. If you make a tutorial/ interview video make sure to post it on your blog too, along with a transcript of the same. Transcripts give you a chance to present your video content in written format as well and draw some more audience. Make infographic to get exposure to Pinterest, Tumblr and such other rich media audience. If Pinterest works for your niche, then make sure you exploit its full potential. Make a image only post and pin it, or make an infographic for an epic post and pin that. Tumblr has 130 million blogs and is growing everyday. This community loves rich media post more than text based post. Use images to draw out this audience to your blog. Make slideshare of your content. This is another medium to gain exposure for your content. It has a sizeable active audience. Make these rich media shareable, with the clause of linking back to you. This will get you free links and more exposure. Limited copies of some popular tool/product used in your niche. Announce on your social profiles that you have started blogging. This will help drive your friends and acquaintance as initial visitors to your blog. Ask questions to get audience talking, and encourage them to share their answers on social channels. Write topical post that need to be read right now. Mix with timeless post that will be useful. This will encourage readers to check out your post right away, whilst keep them coming back for more. Make sharing easy and prominent. Include different type of sharing buttons spread across the blog, to encourage users to share your content. Display your awards, wins and social proof in prominent position. This helps build credibility amongst readers. Use a translation plugin to translate your blog into other languages. Bottomline for promoting a blog is “Be Consistent and Patient”. Your hard work will pay off, have patience and persistence. Promoting your blog is one of the most important aspect of owning a blog. 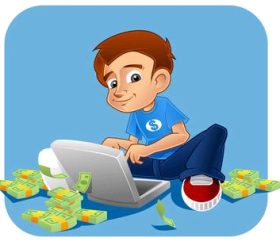 without promotion your awesome blog, cannot be discovered and therefore it can not make money ever. Promoting your blog is a full time activity and needs to be planned and carried out in a phased but regular manner. The better you can promote your blog the more traffic you can bring to it, and that's the key to making money from your blog. In next post we will be discussing all about how to test & track your blog. 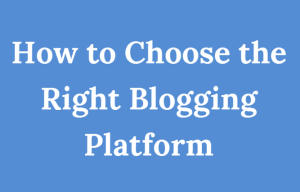 This is critical to your blog’s success. Tracking & testing allows you to maximize your blog’s money making potential & keep a tab on which of your activity is impacting your blog in which manner.